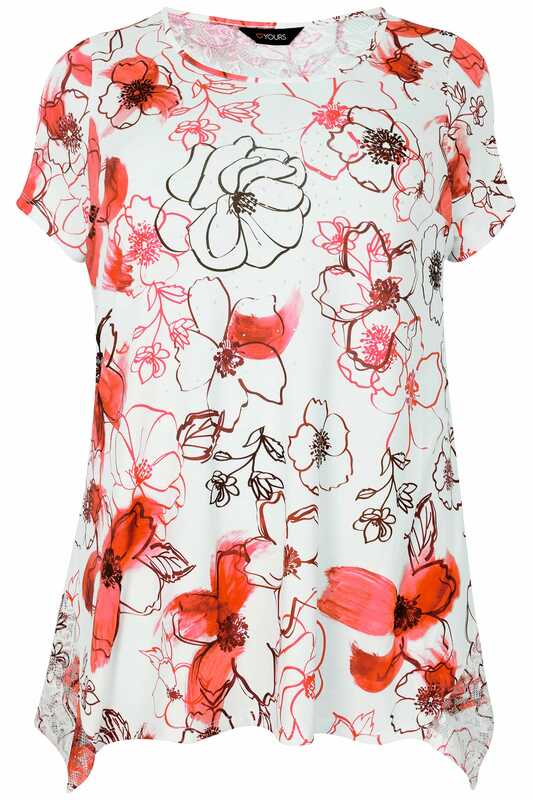 Add a pop of colour to your daytime wardrobe with this top. 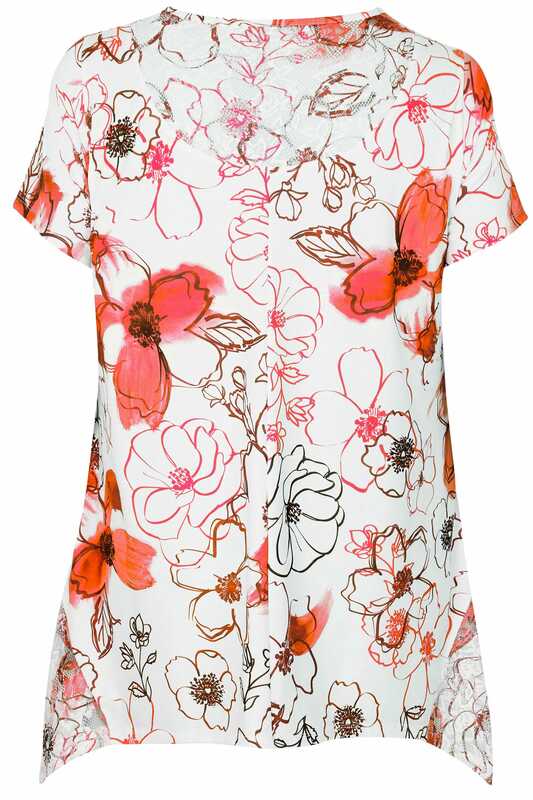 Flattering with a hanky hem, it features lace cut outs, a bold coral floral print and sparkling diamante details. For effortless style, team with denim and a pair of slip-on flats. 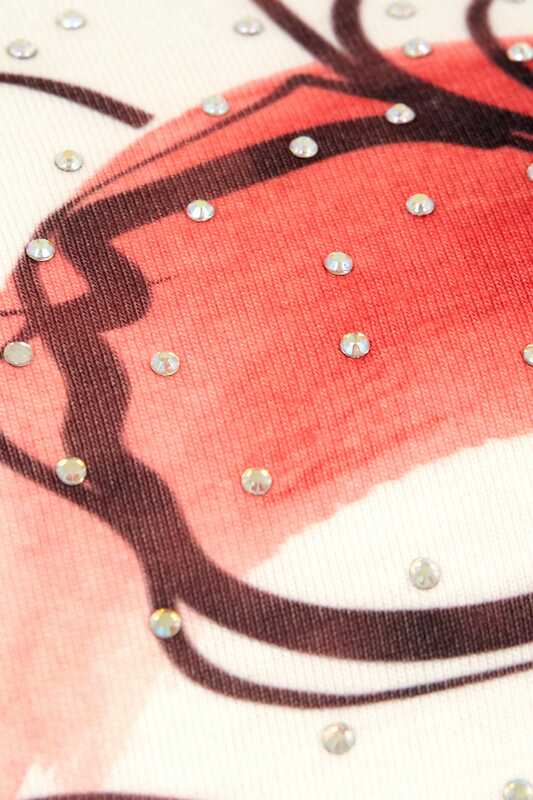 We are loving its easy-to-wear fabric and pretty print.